C. DASCALU, Two-scale computational modeling of dynamic failure in brittle solids: branching instabilities. 14th U.S. National Congress for Computational Mechanics. July 2017, Montreal, Canada. X.Y. Sun, V. Taupin, C. Fressengeas and P. Cordier, Continuous description of the atomic structure of a grain boundary using dislocations and generalized-disclination density fields, MRS Fall Meeting, Boston, USA (2016). Z-Z. SHI, Y. ZHANG, F. WAGNER, T. RICHETON, P-A. JUAN, J-S. LECOMTE, L. CAPOLUNGO, S. BERBENNI, Micromechanical analysis of secondary extension twinning in a magnesium alloy, International Symposium on Plasticity and Its Current Applications (PLASTICITY 2016), Kona, Hawaii, January 3-9, 2016. T. RICHETON, K.E.K. AMOUZOU, S. BERBENNI, M.A. LEBYODKIN, Elasto-viscoplastic self-consistent modeling of hardening mechanisms in commercially pure alpha-titanium in tensile condition, International Workshop on Mechanistic Behaviour of HCP Alloys, Oxford, United Kingdom, March 30 - April 1, 2016. L.T. Le, T. Chauve, M. Bernacki, S. Berbenni, M. Montagnat, T. Richeton, Un modèle de plasticité cristalline considérant le transport des dislocations géométriquement nécessaires sur les systèmes de glissement : application aux mono- et multi-cristaux de glace, Colloque Plasticité, Poitiers, April 11-13, 2016. V. TAUPIN, J. Chevy, C. FRESSENGEAS, Effects of interfaces and grain-to-grain interactions on shear banding in Al-Cu-Li rolled sheets, MMM 2016, Dijon, France, 2016. A. VILLANI, V. TAUPIN, L. Capolungo, Grain boundaries in Field Dislocation Mechanics: a thermodynamic formulation for the tangential continuity condition of distortion at the interface, MMM 2016, Dijon, France, 2016. V. TAUPIN, J. Chevy, C. FRESSENGEAS, On the treatment of grain boundary interfaces in crystal plasticity continuum mechanics simulations, 2nd Schöntal Symposium - Dislocation based plasticity, Schöntal, Germany, 2016. C. DASCALU, Multiscale modeling of dynamic failure in brittle solids. IUTAM Symposium on Dynamic Instabilities in Solids. May 2016. Madrid, Spain. C. DASCALU, A two-scale approach for dynamic brittle failure. EMI Conference, October 2016. Metz, France. T.A. Lebedkina, M.A. Lebyodkin, D.A. Zhemchuzhnikova, R.O. Kaibyshev, Unusual behavior of deformation bands during jerky flow in an AlMg alloy containing precipitates, Colloque Plasticité 2015, Autrans, 28-30 avril, Livre de résumés, p. 14. G. CHATZIGEORGIOU, Y. CHEMISKY, F. MERAGHNI, Periodic homogenization of SMA composites under isothermal conditions, MEMA 2015, Doha, Qatar, 11-14 January, 2015. Z.-Z. Shi, Y. Zhang, F. Wagner, T. Richeton, P.-A. Juan, J.-S. Lecomte, L. Capolungo, S. Berbenni, Analyse micromécanique du maclage secondaire dans un alliage de magnésium, Colloque Plasticité, Autrans, April 28-30, 2015. T. Richeton, S. Berbenni, I. Tiba, Incompatibility stresses at grain and twin boundaries: influence of anisotropic elasticity on slip activity, EUROMECH-Colloquium 570, Houffalize, Belgium, October 20-23, 2015. T. ÖRS , GUINEBRETIERE R., MICHA J.-S., ROBACH O., N. GEY, M. HUMBERT, GOURAUD F., HUGER M., MICHEL V., CASTELNAU O., Contraintes Residuelles Locales Au Sein De Briques De Zircone, Communication Orale, Rayons X Et Matiere, 01-05.12.2015, Grenoble, France. W. Wei, M. Duc, T. Reuschlé, H. Souli, S. Taibi, J-M. Fleureau, M. Hattab. Micro-Macro Mechanical Study of a clay Rock on Drying-Wetting Path. 6th International Conference, Clays in Natural and Engineered Barriers for Radioactive Waste Confinement, Brussels - March 23-26, 2015. X. Wei, L. Ighil Ameur, J-M. Fleureau, P. Bompard, M. Hattab. Highlighting some mechanisms of crack formation and propagation in clays on drying-path. Conference of the ASCE Engineering Mechanics Institute EMI 2015. USA, Stanford, June 16 – 19. 2015. Y. SAMIH, T. GROSDIDIER, S. Z. HAO, C. DONG, Modification of metallic surfaces by mechanical and thermo-chemical duplex treatments. Global Advanced Materials and Surfaces (GAMS 2015), December 2015, Dubaï (United Arab Emirates). M. EL KANDAOUI, F.SCANDELLA, E. FLEURY, Development of TA6V commercial airplane floors "Plancher du Futur" project, Journées membres Institut de Soudure, Paris-Nord Villepinte, 18-19 November, 2015. C. DASCALU Localization analysis for a dynamic two-scale damage model, EMI Conference 2015, Stanford University, June 16-19, 2015. K.E.K. Amouzou, T. Richeton, A. Roth, M.A. Lebyodkin, T.A. Ledebkina, S. Berbenni, Etude numérique de l’anisotropie des propriétés mécaniques du a-Ti en conditions de traction, 9ème Colloque «Matériaux, Mécanique, Microstructure» (3M), Saclay, June 19-20, 2014. K.E.K. Amouzou, T. Richeton, A. Roth, M.A. Lebyodkin, T.A. Lebedkina, S. Berbenni, Numerical study of anisotropy of mechanical properties of α-titanium in tension conditions, 13th International Symposium on Physics of Materials (ISPMA13), Prague, Czech Republic, August 31 – September 4, 2014. T. Richeton, I. Tiba, S. Berbenni, Study of slip initiation at f.c.c. twin boundaries thanks to explicit analytical expression of incompatibility stresses, 13th International Symposium on Physics of Materials (ISPMA13), Prague, Czech Republic, August 31 – September 4, 2014. T.A. Lebedkina, M.A. Lebyodkin, T.T. Lamark, M. Janecek, Y. Estrin, Effect of equal channel angular pressing on the Portevin-Le Chatelier effect in an Al3Mg alloy International Congress NanoSPD6, Metz, France, June 30-July 4, 2014. F. KPEKY, H. BOUDAOUD, H. CHALAL, F. ABED-MERAIM, E.M. DAYA. “Dynamic response of viscoelastic multilayers structures using solid-shell finite elements.” XIXth Vibrations, SHoks and Noise, Aix-en-Provence-France: June 16-19, 2014. G. CHATZIGEORGIOU, Y. CHEMISKY, F. MERAGHNI, Periodic homogenization of SMA composites, MM&FGM 2014, Sao Paulo, Brazil, 19-22 October, 2014. G. CHATZIGEORGIOU, A. JAVILI, P. STEINMANN, Homogenization of Composites with Magneto-Mechanical Behavior, GAMM 2014, Erlangen, Germany, 10-14 March, 2014. Laszlo S. Toth, Chengfan Gu, Mark Hoffman, Modeling of twinning/detwinning, the Bauchinger effect and residual stresses with the Taylor-Lin elasto-viscoplastic polycrystal model in low cycle fatigue of Mg alloy AZ31, 11th International Fatigue Congress, Melbourne, Australia, March 2-7, 2014, oral lecture. T. Richeton, I. Tiba, S. Berbenni, O. Bouaziz, Rôle de l’élasticité anisotrope sur la promotion du glissement simple dans les plans de macle aux joints S3<111>, Conférence Matériaux, Montpellier, November 24-28, 2014. P.-A. JUAN, S. BERBENNI, L. CAPOLUNGO. Quantitative study of the role of twin-parent and twin-twin interactions on the mechanical response of hexagonal materials. MMM 2014, 7th international Conference on Multiscale Materials Modeling October 6-10, Berkeley, California, USA, 2014. 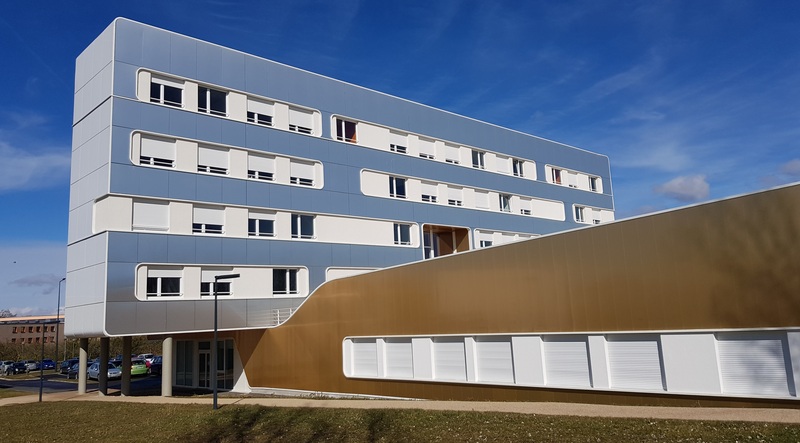 C. Fressengeas, V. Taupin and L. Capolungo, an elastoplastic theory of dislocation and disclination fields, International Workshop on Dislocation Dynamics Simulations, Saclay, France, 2014. V. Taupin, C. Fressengeas, L. Capolungo, M.V. Upadhyay, Mesoscale modeling of polycrystal plasticity with dislocation and disclination fields, Plasticity 2014, Freeport, Bahamas, 2014. Soho K, Lemoine X, Abed-Meraim F, Zahrouni H. Influence of the loading path on the mechanical behavior of metallic materials. International conference on COmputational methods in Manufacturing Processes ICOMP’14,Saint-Etienne, 2-4 September 2014. M. Hattab, C-S. Chang. 2014. Inter-aggregate forces and energy potential effect on clay deformation. Conference of the ASCE Engineering Mechanics Institute, Canada, Hamilton, Ontario, August 5 – 8, 2014. T. GROSDIDIER, Y. SAMIH, N. ALLAIN, T. CZERWIEC, C. DONG, Modification of Metallic Surfaces by Duplex Treatments involving Severe Shot Peening, Pulsed Electron Beam and Nitriding. 4th Chinese French Symposium on Advanced Materials (CFSAM-4), November 2014, Beihang University (China). Shashkov I.V., Gornakov V.S., Lebyodkin (Lebedkin) M.A, Observation of power-law scaling behavior in ferromagnetic films with unidirectional anisotropy, Moscow International Symposium on Magnetism MISM-2014, 29 Juin-3 July 2014, Russia. V. TAUPIN, C. FRESSENGEAS, L. Capolungo, Grain boundary modelling using a theory of disclination and dislocation fields, International workshop on dislocation dynamics simulations, Saclay, France, 2014. Laszlo S. Toth, Chengfan Gu, Arnaud Pougis, Mechanism of Continuous Dynamic Recrystallization During Severe Plastic Deformation, 5th Int. Conf. Recrystallization and Grain Growth, Sydney, 5-10 May, 2013, oral lecture. A. Roth, M.A. Lebyodkin, T.A. Lebedkina, J-S. Lecomte, T. Richeton, K.E.K. Amouzou, Étude de l’anisotropie des propriétés mécaniques du titane commercialement pur, Book of abstracts, Colloque Plasticité 2013, Paris, France, 17-19 Avril 2013, p. 47. I. Tiba, T. Richeton, S. Berbenni, C. Motz, H. Vehoff, Investigation of the deformation behavior of bicrystals: modeling and experiments, European Congress and Exhibition on Advanced Materials and Processes (EUROMAT 2013), Sevilla, September 8-13, 2013. T. Richeton, S. Berbenni, From bicrystals to spherical inclusions: analytical derivation of the stress fields in presence of plastic strain gradients, 3rd International Conference on Material Modelling (ICMM 3), Warsaw, Poland, September 8-11, 2013. Laszlo S. Toth, Chengfan Gu, Y. Estrin, C.H.J. Davis, R. Lapovok, Grain refinement modelling in large plastic deformation, The 19th International Symposium on Plasticity & Its Current Applications: Analytical, Computational, and Experimental Inelasticity in Deformable Solids, Editor: A.S. Khan, ISBN: 09659463-4-2, January 3-8, 2013, Nassau, Bahamas, pp. 28-30. Laszlo S. Toth, Chengfan Gu, Arnaud Pougis, Mechanism of Continuous Dynamic Recrystallization During Severe Plastic Deformation, IX. Hungarian Materials Science Conference, Balatonkenese, Hungary, 13-15, Octobre, 2013, oral lecture. S. BERBENNI, V. TAUPIN, C. FRESSENGEAS. A FFT-based approach for solving elastic fields of continuum dislocation mechanics. 3rd International Conference on Materials Modeling (ICMM3-EMMC13), Session « Plasticity », Sept. 8-11, Warsaw, Poland, 2013. I. Tiba, T. Richeton, S. Berbenni, Effects of grain boundaries on internal mechanical fields: discrete versus continuum approaches, 5th Saar-lor-lux Colloquium in Mechanics, Metz, April 20, 2012. F. Wagner, N. Allain-Bonasso, S. Berbenni and D.P. Field “Approche théorique et expérimentale de l'étude de l'hétérogénéité de la déformation plastique dans des aciers IF", Colloque Plasticité, Metz, 13-15 Avril 2012 . T. Richeton, S. Berbenni, Elastic Fields in Bicrystals and Spherical Grains: Derivation of the Different Sources of Incompabilities (Elastic, Plastic and Elastic/Plastic), MMM 2012, 6th International Conference on Multiscale Materials Modeling, Singapore, October 27-31, 2012. Laszlo S. Toth, Chengfan Gu, and Benoît Beausir, Effect of grain refinement on large strain hardening, ICSMA16, The 16th Int. Conf. on Strength of Materials, Bangalore, India, Aug. 19-24, 2012, oral lecture. D. BOUSCAUD, R. PESCI, S. BERVEILLER, E. PATOOR, Analyse des contraintes grain à grain dans un microscope électronique à balayage par microdiffraction Kossel, Colloque du Groupement Français d'Analyses des Contraintes, Université de St Nazaire, 2012. V. Taupin, C. Fressengeas, A. Das, L. Capolungo, M. Upadhyay, Grain boundary modeling using a theory of disclination and dislocation fields, Second Trilateral Worshop: “Generalized Continua as Models for Materials with Multi-Scale Effects or under Multi-Field Actions”, Lutherstadt Wittenberg, Germany, 2012. V. Taupin, C. Fressengeas, A. Das, L. Capolungo, M. Upadhyay, Grain boundary modeling using a theory of disclination and dislocation fields, MMM 2012, Singapore, 2012. Abed-Meraim F, Trinh VD, Combescure A. New quadratic solidshell elements and their evaluation on popular benchmark problems. 3rd European Seminar on Computing (ESCO 2012), Pilsen (Czech Republic), 25-29 June 2012. T. Hammad, M. Hattab, J-M. Fleureau Compressibility of kaolin/montmorillonite clay mixtures and microstructural variations. Joint Conference of the Engineering Mechanics Institute (EMI2012). USA, Notre Dame 17-20 June, 2012. M. Hattab. Volumetric strain mechanisms and induced anisotropy analyses in clayey materials. Joint Conference of the Engineering Mechanics Institute (EMI2012). USA, Notre Dame, 17-20 June, 2012. R. Storer, M. Lebyodkin, P. Kurath, A. Beaudoin, C. Fressengeas, Localized Deformation During Macroscopically Uniform Plastic Flow of a Dynamically Strain Aging Alloy, 2011 TMS Annual Meeting & Exhibition, Feb. 27 – March 03, 2011, San Diego, California, USA (accepted). T. Richeton, G. Wang, C. Fressengeas, Continuity constraints at interfaces and particle strengthening, PLASTICITY 2011, 17th International Symposium on Plasticity, Puerto Vallarta, Mexico, January 3-8, 2011. C. Fressengeas, T. Richeton, G. Wang, Continuity constraints at interfaces and scale dependence of the mechanical behavior of crystalline materials, TMS Annual Meeting & Exhibition, San Diego, California, February 27 - March 3, 2011. M. Arzaghi, J.J. Fundenberger, B. Beausir, L.S. Toth, X. Sauvage, “Grain refinement and microstructural properties of aluminium alloys processed by a new SPD technique: High Pressure Tube Twisting (HPTT)”, Thermec’2011, Int. Conf. on Processing & Manufacturing of Advanced Materials, August 1-5, (2011), Quebec, Canada, oral lecture. L.S. Toth, C.F. Gu, C.H.J. Davies, The origin of retained shear texture when shear deformation is inverted, French-German texture meeting, Ghent, Belgium, April 1, (2011), oral lecture. W. Elmay, E. Patoor, B. Bolle, T. Gloriant, F. Prima, A. Eberhardt, P. Laheurte, Modification par traitements thermo-mécaniques des propriétés élastiques d’alliages binaires Ti-Nb pour les applications biomédicales, Le 20ème Congres Français De Mécanique, 28 aout-2 septembre (2011), Besançon –France. A. Pougis, J.J. Fundenberger, R. Arruffat, L.S. Toth, M. Arzaghi, O. Bouaziz, D. Barbier, L. Faure, A new SPD process for tubes: High Pressure Tube Twisting (HPTT) - Modelling and first experiments, Int. Conf. Bulk Nanostructured Mater., BNM 2011, UFA, August 23-27, oral lecture. Daouadji, A., Jrad, M., Sukumaran, B., and Darve, F., “Experimental analysis of diffuse failure in loose sands under different loading paths,” ALERT Workshop, Aussois, France, 2011. T. Richeton, G.F. Wang, C. Fressengeas, Continuity constraints at interfaces and scale dependence of particle strengthening, ICMM 2, 2nd International Conference on Material Modelling, Paris, France, August 31 – September 2, 2011. L.S. Toth, C.F. Gu, Microstructure, Texture and Grain Refinement in Severe Plastic Deformation Processes, Congrès Journées Annuelles 2011, Société Française de Métallurgie et de Matériaux (SF2M), Nancy, July 4-6, 2011, France, CD ISBN: 978-2-917839-07-2. M. Hattab. Microstructural investigations in clayey materials after triaxial loading. Engineering Mechanics Institute Conference (EMI2011). USA, Boston, 1-4 June, 2011. G. ALTMEYER, F. ABED-MERAIM, T. BALAN. Formability prediction of damageable elastic-viscoplastic media by a material stability analysis based on a linear perturbation method. IV ECCM Conference, 16-21 Mai (Paris) 2010. B. Beausir, C. Fressengeas, N. Gurao, L.S. Toth, S. Suwas, Scale invariance in grain misorientation distribution, TMS (The Minerals, Metals & Materials Society) 2010 Annual meeting, Seattle, February 14-18, 2010. T. CARVALHO RESENDE, T. BALAN, F. ABED-MERAIM, S. BOUVIER, SS. SABLIN. Application of a dislocation based model for Interstitial Free (IF) steels to Marciniak Stretch test simulations. IV ECCM Conference, 16-21 Mai (Paris) 2010. C. Fressengeas, Conditions de continuité et corrélations spatiales aux interfaces, Colloque Plasticité 2010, 8-10 Mars 2010, Toulouse. B. Beausir, C. Fressengeas, N.P. Gurao, L.S. Toth and S. Suwas, Continuity constraints and spatial correlations on interfaces in crystal plasticity, IVth European Conference on Computational Mechanics-ECCM IV, Solids, Structures and Coupled Problems in Engineering, ECCOMAS, Paris, May 16-21, 2010. R. MAKKOUK, X. LEMOINE, M. TEACA, I. CHARPENTIER, M. MARTINY, G. FERRON, A Mixed Experimental-Numerical Approach to Sheet-Metal Plastic Modeling, with Application to the Prediction of the Forming Limit Curves, ESAFORM 2010, Brescia, Italy, 7-9 avril 2010. M.A. Lebyodkin, Y. Bougherira, N.P. Kobelev, T.A. Lebedkina, D. Entemeyer, C. Fressengeas, I. Shashkov, Experimental study of dislocation avalanches during unstable plastic deformation, 11th Intern. Conf. « Experimental Chaos and Complexity », ECC11, Juin 2010, Lille, France. Y. Chemisky, A. Duval, T. Ben Zineb, E. Patoor, New macroscopic model for SMA behavior considering twins accommodation in self-accommodated martensite, Symposium S: Shape memory materials for smart systems III, EMRS, Strasbourg, 2010. Y. Payandeh, A. Eberhardt, E. Patoor, F. Meraghni, Elaboration and behaviour characterization of a NiTi Shape Memory Fibre-Epoxy Matrix Composite, Symposium S: Shape memory materials for smart systems III, EMRS, Strasbourg, 2010. E. Patoor, Y. Chemisky, A. Duval, B. Piotrowski, T. Ben Zineb, 3-D Macroscopic modelling of SMA behavior. Application for structure analysis, precipitation effects in SMA and NiTiNb behavior, Workshop on Shape Memory Alloys, KOC University, Istanbul 2010. M. Teaca, M. Martiny, I. Charpentier and G. Ferron, Heterogeneous Biaxial Tensile Tests For The Characterization Of Sheet Metals Plastic Anisotropy, AMPT Conference, Paris, 24-27 octobre 2010. L. Moreira, S. Mercier, N. Medeiros, M. Martiny, M. Barbosa. Numerical analysis of the sheet metal forming of steels with phase transformation effects, COMEN 2010, Campina grande, Brasil, August 2010. L.S. Toth, B. Beausir, D. Orlov, R. Lapovok, A. Haldar, Analysis of texture and R value variations in asymmetric rolling of IF steel, IFSTEEL-2010 Conference, Jamshedpur, India, Febr. 15-17, 2010, keynote lecture. Y. SAMIH, B. BOLLE, N. ALLAIN-BONASSO, S. Z. HAO, M CHEMKHI, D. RETRAINT, C. DONG, T. GROSDIDIER,Textures et contraintes internes induites par le procédé HCPEB (High Current Pulsed Electron Beam) combiné avec le traitement SMAT (Surface Mechanical Attrition Treatment). Journées de la Matière Condensée JMC12, August 2010, Troyes (France). J.A. Rodriguez-Martinez, A. Rusinek, R. Pesci, A. Arias, Mechanical characterization and analytical modeling of the thermo-viscoplastic behaviour AISI 304 steel under wide ranges of strain rates at room temperature, 37th Solid Mechanics Conference (SolMech 2010), Warsaw (Poland). J. TEIXEIRA, L. GERMAIN, E. LAMIELLE, N. GEY, E. AEBY-GAUTIER, “Heterogeneous precipitation of the alpha phase on beta/beta grain boundaries in the beta metastable Ti17 titanium alloy: experimental study of the associated kinetics, morphology and microtexture,” presented at the PTM2010 Solid-Solid Phase Transformations in Inorganic Materials, Palais des Papes, Avignon, France, 2010. F. Nicot, L. Sibille, A. Daouadji, P.-Y. Hicher, F. Darve, Multiscale modeling of instability in granular materials. Engineering Mechanics Institute 2010 (EMI 2010), USC Los Angeles, USA, 2010. V. Taupin, T. Richeton, S. Berbenni, C. Fressengeas, Continuity constraints and incompatibility stresses at grain boundaries, ICACM 2010, Scale transition for plastic crystalline and microstructured materials: from experiment to numerical modelling, International Conference for Applied Computational Mechanics, Paris, June 2-4, 2010. J. Chevy, C. Fressengeas, M. Lebyodkin (Lebedkin), P. Bastie, P. Duval, On the role of short-range vs. long-range spatial correlations in dislocation patterning, Fifth Intern. Conf. Multiscale Materials Modeling MMM2010, October 4-8, 2010, Freiburg, Germany. G. ROBIN, F. VANDER MEULEN, N. WILKIE-CHANCELLIER, L. MARTINEZ, L. HAUMESSER, J. FORTINEAU, P. GRIESMAR, G. FEUILLARD, Détermination du temps de gel par mesures de la vitesse de phase et de l'atténuation d'une onde ultrasonore, 10ème Congrés Français d'Acoustique, Lyon, 12-16 avril, 2010. A.J. Beaudoin, S. Varadhan, J. Mach, A. Acharya, C. Fressengeas, Transport of the mobile dislocation density, strain heterogeneity and the development of internal stress Plasticity 2009, St Thomas, Virgin Islands, USA, January 3-8, 2009. S. Berveiller, B. Malard, E. Patoor, Multi-scale analysis of shape memory alloys behavior, Joint SES-ASME- Conference, Blacksburg, USA, June 23-26, 2009. T. Carvalho Resende, S. Bouvier, T. Balan, F. Abed-Meraim, S.S. Sablin. Work hardening prediction using a dislocation based model for automotive Interstitial Free (IF) steels, 1st ICMM, Dortmund (Germany), 15-17 Septembre 2009. C. Fressengeas, A.J. Beaudoin, D. Entemeyer, T. Lebedkina, M. Lebyodkin, V. Taupin, Dislocation transport in crystal plasticity, 1st Int. Conf. on Material Modelling, Dortmund, Germany, 15-17 September 2009. N. Granier, S. Mercier, A. Molinari, F. Llorca, T. Grunenwald, Multiple necking in expansions of hemispheres, Workshop dynamic behavior of materials, Metz, France, 13-15 May 2009. N. Granier, S. Mercier, A. Molinari, F. Llorca, T. Grunenwald, Multiple necking in dynamic expansions of spheres : theory and experiments, IUTAM symposium on dynamic fracture and fragmentation, Austin, 8-12 mars 2009. N. Jacques, C. Czarnota, S. Mercier, A. Molinari, A micromechanical constitutive model for dynamic damage and fracture of ductile materials, IUTAM symposium on dynamic fracture and fragmentation, Austin, 8-12 mars 2009. E. Patoor, Simulation numérique du comportement des alliages à mémoire de forme et des céramiques piézoélectriques, Journée Thématique Matériaux et Structures Intelligentes Appliques aux Contrôle Santé Intégré, Contrôle de Formes, Contrôle de Vibrations et Biomimétisme, ONERA Chatillon, 25 Mars 2009. Y. Payandeh, F. Meraghni, E. Patoor, A. Eberhardt, Investigation of the Interface in NiTi Shape Memory Fiber - Epoxy Matrix Composite, Joint ASCE-ASME-SES Conference on Mechanics and Materials, Blacksburg, Virginia, USA, June 24-27, 2009. S. PHILIPPON, P. CHEVRIER, A. RUSINEK, O. SINOT, A. LEFEBVRE, P. LIPINSKI, P. VIEVILLE, L. FAURE, Etudes Expérimentales d'Interaction aux grandes vitesses: Application au Frottement de Glissement Sec, MECADYMAT 1 & 2 Avril 2009 - Bourges. N. Siredey-Schwaller, A. Eberhardt, E. Patoor, P. Bastie,. Relation between crystal quality and fatigue life of a Cu-Al-Be single crystal shape memory alloy under repeated bending, ESOMAT 09, Sept 7-11, 2009, Prague. L.S. Toth, Y. Estrin, R. Lapovok, C. Gu, A model of grain fragmentation based on lattice curvature, Int. Conf. on Strength of Materials, ICSMA15, Dresden, Germany, 16-21, Aug. 2009. L.S. Toth, Y. Estrin, R. Lapovok, C. Gu, A model of grain fragmentation based on lattice curvature, Int. Conf. on Bulk Nanostructured Materials, BNM2009, UFA, Russia, 21-26, Sep. 2009. P. LAHEURTE, W. ELMAY, A. EBERHARDT, T. GLORIANT, F. PRIMA, E. Patoor, Development of nickel-free shape memory alloys for biomedical applications, 2009 Joint ASCE-ASME-SES Conference on Mechanics of Materials, Blacksburg, VA, USA Conference Symposium on Shape Memory Alloys, June 24-27, 2009. F. Prima, B. Dailey, P. Laheurte, A. Eberhardt,, T. Gloriant, P. Vermaut, R. Portier Development of Ti-based alloys with tuneable elastic properties for biomedical applications: Some exemples of strategies 27th Canadian Biomaterials Society Annual Conference, Quebec City, Laval University Campus Canada, May 20-23, 2009. J.Wu, N. Allain-Bonasso, S. Hao, T. Grosdidier, C. Dong, Multilayer Structures on ZrAlNiCu Bulk Metallic Glasses Induced by Pulsed Electron Beam Surface Treatments, Conférence Workshop WPI-INPG-Europe, 25-28 août 2009, Grenoble, France. N. MALOUFI, S. GRIRA, G. HOFER, B. BOLLE, N. GEY, B. DOUINE, C. BELLOUARD, J. LEVEQUE, G. ORSAL, C. ESLING, Electron Backscatter Diffraction technique: microstructure and epitaxial relationships in YBa2Cu3O7-d/CeO2/sapphire films, , november 17-20 , 2009 - Nancy (France), Conference on Innovations in Thin Film Processing and Characterisation ITFPC. G. ORSAL, T. MOUDAKIR, S. GAUTIER, N. MALOUFI, D. J. ROGERS, F. HOSSEINI TEHERANI, F. JOMARD, P. L. VOSS AND A. OUGAZZADEN, Demonstration of single crystal InGaN MOVPE growth on ZnO-buffered silicon template substrate, presented at the EMRS spring meeting 2009, Strasbourg, France, EMRS spring meeting. S. Berbenni, T. Richeton, C. Collard, C. Perrin, M. Berveiller, Role of discrete intra-granular slip heterogeneities on mechanical fields and overall behavior of polycrystals, ICMM 1, 1st International Conference on Material Modelling, Dortmund, Germany, September 15-17, 2009. S. Bénédic, N. Bourgeois, S. Berveiller, A. Eberhardt, Different speckle patterns to measure the local strain heterogeneities in superelastic shape memory alloys by digital image correlation, Photomechanics 2008, Loughborough, UK, 7-9 July 2008. N. BOURGEOIS, T. MERZOUKI, F. MERAGHNI, A. EBERHARDT, Different speckle patterns to measure the local strain heterogeneities in superelastic shape memory alloys by digital image correlation, Photomechanics 2008, Loughborough University, 6 July 2008. C.S. Chang, P-Y. Hicher, A. Daouadji, Instability of granular soils at constitutive level, 8th International Workshop on Bifurcations and Degradations in Geomaterials, Lake Louise, Alberta, Canada, 2008. C. Collard, V. Favier, S. Berbenni, M. Berveiller, Modeling Grain Size Effect through Discrete Periodic Inelastic Slip Mechanisms. 14th Int. Symp. on Plasticity "PLASTICITY 2008", Kailua/Kona, Hawaii, January 3-8, 2008. A. Daouadji, Bifurcation phenomena in granular material: Experimental and numerical simulation of static liquefaction on sands, Third Saar Lor Lux Colloquium in Mechanics (SLLCM3), Esch sur Alzette, Luxembourg, 2008. A. Daouadji, P-Y. Hicher, Modelling undrained behaviour of granular materials at high stresses, Inaugural International Conference of the Engineering Mechanics Institute (EM08)- ACSE- Minneapolis, Minnesota, 2008. C. Fressengeas, A. Beaudoin, D. Entemeyer, T. Lebedkina, M. Lebyodkin, V. Taupin, Dislocation transport in crystal plasticity, Int. Conf. Fundamentals of Plastic Deformation, Dislocations 2008, Hong Kong, 13-17 October 2008. N. Granier, F. Llorca, S. Mercier, A. Molinari, Multiple necking under dynamic expansions of a copper hemisphere, 14th international symposium on plasticity, Hawaii, janvier 2008. A. Hasani, L.S. Toth, Texture modelling in equal channel angular extrusion using a general flow line function, Int. Conf. Textures of Materials ICOTOM15, Pittsburgh, June 1-6, 2008. F. Jemal-Ellouze, T. Bouraoui, T. Ben Zineb, C. Bradai, E. Patoor, A thermomechanical constitutive law for Fe-based shape memory alloys: Effect of martensitic transfpormation, plastic gliding and their interactions, International Conference on Smart Materials and Adaptive Structures: Mathematical Modeling and Computation, Tangier, Morocco, April 14 - 16, 2008. F. Laouafa, A. Daouadji, F. Darve, Experimental and numerical modelling of diffuse mode of failure in very loose sands, 8th International Workshop on Bifurcations and Degradations in Geomaterials, Lake Louise, Alberta, Canada, 2008. F. MERAGHNI, Mise en forme de tôles minces en aciers à transformation de phases. Dialogue Essais - Simulation - Identification Inverse. 6e Symposium REVELOR, Nancy, 20 11 2008. S. Mercier, A. Molinari, Y. Estrin, Homogenization of elastic-viscoplastic heterogeneous materials: Application to nanomaterials, EMRS08, Varsaw, 17-21 septembre 2008. E. Patoor, A. Eberhardt, F. Meraghni, Y. Payandeh, Y. Chemisky, Shape Memory Alloy Composites: Modelling and Experiemnts, SES Technical Meeting 2009, Urbana-Champaign, Illinois, USA, October 12-15, 2008. E. Patoor, B. Malard, S. Berveiller, Multiscale Analysis of Stress-Induced Martensitic Transformation in Cu-Al-Be SMA, ASME Conference on Smart materials, Adaptive Structures and Intelligent Systems (SMASIS), Ellicott City, Maryland, USA, October 28-30, 2008. B. Piotrowski, T. Ben Zineb, E. Patoor, Modelling of SMA with elastic-plastic inclusions, Workshop, Modelling of SMAs and SMA Actuated Structure, ESF EUROCORES programme Smart Structural Systems Technologies (S3T), Prague, Czech Republic, May 4-7, 2008. T. Richeton, S. Berbenni, M. Berveiller, Intra-granular plastic slip heterogeneities: Discrete vs. Mean field approaches, PLASTICITY 2008, 14th International Symposium on Plasticity, Kailua/Kona, Hawaii, January 3-8, 2008. V. Taupin, S. Varadhan, C. Fressengeas, A.J. Beaudoin, Polarized dislocation structures and directionality of yield point in strain-aged steels, Multiscale Materials Modeling IV, Tallahassee, Florida, USA, October 27-31, 2008. L.S. Toth, M. Arzaghi, J.J. Fundenberger, B. Beausir, O. Bouaziz, R. Arruffat-Massion, Severe plastic deformation of metals by high pressure tube twisting, NanoSPD4, Goslar, 18-22 August, 2008. E. UTA, N. GEY, P. BOCHER, M. HUMBERT, J. GILGERT, EBSD analysis of Dwell-fatigue fracture surface in Titanium alloy IMI834, Electron Backscatter Diffraction Meeting March 2008 - University of Sheffield. A. Daouadji, H. Al Gali, M. Jrad, F. Darve, Loss of stability versus loss of controllability in granular materials, ALERT Workshop, Aussois, France, 2008. L. Germain, N. Gey, E. Uta and M. Humbert: 'Characterisation of texture heterogeneities in Titanium alloy IMI834 Influence on cold dwell fatigue properties', Electron Backscatter Diffraction Meeting March 2008 - University of Sheffield RU. N. Nicaise, S. Berbenni, F. Wagner, M. Berveiller, X. Lemoine, Combined effects of crystallographic and grain sizes heterogeneities on plasticity and ductility of polycrystalline IF steels. 4th Int. Conf. Multiscale Materials Modeling MMM2008 (Symposium 3: Multiscale Mechanics), Tallahassee, Florida, USA, Oct. 27-31, 2008. A. Acharya, A.J. Beaudoin, C. Fressengeas, S. Puhri, A. Roy, S. Varadhan, Computational aspects of field dislocation mechanics, IX Int. Conf. Computational Plasticity, COMPLAS 2007, Barcelona, September 5-7, 2007. S. Allain, M. Lebyodkin, J-P. Chateau, A. Jacques, T. Lebedkina, A. Rusinek, Multifractal analysis of plastic instabilities in austenitic Fe-Mn-C TWIP steels, 3d France-Russia seminar New Achievements in Materials and Environmental Sciences, NAMES 2007, Metz, 7-9 November 2007, p. 7. S. Allain, M. Lebyodkin, J-P. Chateau, A. Jacques, A. Rusinek, Phénoménologie de la plasticité des aciers austénitiques TWIP FeMnC et analyse multifractale des instabilités de déformation, Colloque Plasticité, Poitiers, France, 19-21 Mars 2007, pp. 27-28. M. BEN ZEINEB, S. PHILIPPON, P. LIPINSKI, P. CHEVRIER, G. SUTTER, A. SUFFIS, A Numeric Model for a Load Sensor to Investigate High Speed Interactions, Workshop, Metz, 21-23 November, 2007. M. R. Berrahmoune, S. Berveiller, E. Patoor, K. Inal, R. Pesci, Transformation martensitique et rupture différée dans l'acier austénitique instable 301LN, 18eme Congres Français de Mécanique (CFM 2007), Grenoble, 27-31 aout 2007. S. Berveiller, E. Patoor, B. Kaouache, K. Inal, Influence de l'orientation cristallographique sur l'hétérogénéité des contraintes dans un polycristal d'AMF au cours d'un chargement superélastique, 18eme Congres Français de Mécanique (CFM 2007), Grenoble, 27-31 aout 2007. J. Chevy, P. Duval, M. Montagnat, M. Fivel, C. Fressengeas, A.J. Beaudoin, Dislocation dynamics in ice single crystals deformed in torsion, Euromat 2007, Nuremberg, September 10-13, 2007. C. Czarnota, N. Jacques, S. Mercier, A. Molinari, Finite element prediction of spallation in ductile solids using a new constitutive damage model, Int. conf. on computational modelling of fragmentation, Nantes, 11-13 June, 2007. C. Czarnota, N. Jacques, S. Mercier, A. Molinari, Modelling of ductile fracture at high strain rates. Numerical simulation of the plate impact test, Minisymposium on Advances in the computational modelling of fragmentation, CFRAC 2007, International Conference on Computationnal fracture and failure of materials and structures, 2007, Nantes, France. C. Czarnota, N. Jacques, S. Mercier, A. Molinari, An approach to modelling spall fracture of ductile elasto-viscoplastic materials sustaining intense loading, Minisymposium on Computational Methods in Impact Engineering, USNCCM 9: 9th U.S. National Congress on Computational Mechanics, 23-26 July, 2007, San Francisco, CA, USA. D. Entemeyer, T. Lebedkina, M. Lebyodkin, C. Fressengeas, V. Jeanclaude, R.J. Mcdonald, Collective effects in the plasticity of copper single crystals, 3d France-Russia seminar New Achievements in Materials and Environmental Sciences, NAMES 2007, Metz, 7-9 November 2007, p. 11. G. Franz, F. Abed-Meraim, T. Ben Zineb, X. Lemoine, M. Berveiller. Influence de la microstructure intragranulaire sur l'évolution des surfaces de charge d'un acier ferritique lors de trajets de déformation monotones et complexes. SLLCM2, 2nd Saar-Lor-Lux Colloquium in Mechanics, Nancy, Mars 2007. G. Franz, F. Abed-Meraim, T. Ben Zineb, X. Lemoine, M. Berveiller. Strain localization analysis using a multiscale model. 17th International Workshop on Computational Mechanics of Materials, (IWCMM 17), Paris, 22-24 Août 2007. B. Haddag, F. Abed-Meraim, T. Balan. Prediction of strain localization in sheet metal forming using elastoplastic-damage model and localization criterion. International Conference on Computational Fracture and Failure of Materials and Structures, Nantes, 11-13 Juin 2007. Z. Kovacs, F. Qods, J. Lendvai, L.S. Toth, Plastic deformation of metallic glasses in torsion, Congrès SHEAR07, 2007 Sept 4-7, Nancy, oral lecture. D.C. Lagoudas, O. W. Bertacchini, E. Patoor, Fatigue life characterization and modeling of SMA actuators, Smart Structures and materials SPIE Conference 2007, Active Materials: Behaviors and Mechanics, San Diego, California, 18-22 March 2007. B. Malard, S. Berveiller, E. Patoor, Multiscale analysis of the stress-induced martensite in Cu-Al-Be SMA, SES 2007, College Station, Texas, USA, October 21-24, 2007. A. Molinari, C. Czarnota, S. Mercier, N. Jacques, A multiscale modelling of dynamic damage, 1st France symposium on advances bridging scales in computation, Shalimar, 28-30 Mars 2007. A. MOLINARI, G. RAVICHANDRAN, Plastic shocks in periodic laminates, ASME Applied Mechanics and Materials Conf, Austin, USA, 2007. R. Pesci, S. Berveiller, Analyse de contrainte intragranulaire par DRX conventionnelle et microdiffraction Kossel, Colloque Groupement Français d'Analyse de Contraintes, Senlis, mars 2007. R. Pesci, K. Inal, S. Berveiller, E. Patoor, A. Eberhardt, J-S. Lecomte, Détermination de l'orientation cristalline et de l'état de contrainte intragranulaire par microdiffraction Kossel, Congres Français de Mécanique (CFM 2007), Grenoble, 27-31 aout 2007. F. Qods, L.S. Toth, Modeling the shear process in equal channel angular extrusion by torsion, Congrès SHEAR07, 2007 Sept 4-7, Nancy. A.A. Shibkov, M.A. Zheltov, A.V. Shuklinov, A.E. Zolotov, D.V. Mikhlik,M.A. Lebyodkin, Jumps of superplastic deformation in an Al5%Mg alloy, XVII Petersburg Lectures on Strength Problems, on the 90th anniversary of A.N. Orlov, St-Petersburg, April 2007. V. Taupin, C. Fressengeas, R.J. McDonald, P. Kurath, S. Varadhan, A.J. Beaudoin, Vieillissement, limite supérieure d'élasticité et effet Baushinger: le rôle des dislocations en excès, Colloque Plasticité 2007, Poitiers, Mars 2007. V. Taupin, S. Varadhan, J. Chevy, C. Fressengeas, A.J. Beaudoin, M. Montagnat, P. Duval, Effects of size in the torsion of ice single crystals, Shear 07, Nancy, Septembre 2007. L.S. Toth, F. Qods, B. Kloeden, W. Skrotzki, Modeling of Swift effect in cylindrical solid bar, Congrés SHEAR07, 2007 Sept 4-7, Nancy, oral lecture. S. Varadhan, V. Taupin, L. Tartar, A. Roy, S. Puri, A. Das, A.J. Beaudoin, C. Fressengeas, A. Acharya, A field theory for mesoscopic dislocation mechanics, IUTAM Symp. Multiscale Plasticity of Crystalline Materials, Eindhoven, November 5-9, 2007. T. BAGHDADLI, S. OUL SAAD HAMADI, S. GAUTIER, J. MARTIN, M. BOUCHAOUR, N. MALOUFI, P. MISKA, B. BENYOUCEF, A. OUGAZZADEN, Optimisation des contacts Métal/Semi-conducteur et caractérisation électrique de matériaux à base de nitrure de gallium, ICRESD, 2007. D. BARBIER, N. GEY, B. BOLLE, M. HUMBERT, S. ALLAIN, Texture and microstructure evolution of a FeMnC TWIP steel during shearing, International Symposium on shear behavior and mechanisms in materials plasticity, SHEAR 2007, Nancy. D. BARBIER, N. GEY, B. BOLLE, M. HUMBERT, S. ALLAIN, O. BOUAZIZ, Texture and microstructure evolutions of a FeMnC TWIP steel during different mechanical tests, Commission SF2M Texture et Anisotropy - Aix La Chapelle - Allemagne , Mars 2007. B. BOLLE, C. LARUELLE, A. TIDU, J.J. FUNDENBERGER, Géométries de mesure en réflexion et profondeur de pénétration en DRX, 7ème colloque rayons X et matière RX 2007 Dijon. E. BOUZY, N. GEY, J.J. FUNDENBERGER, A. MORAWIEC, Cartographies d'orientations par MET/MEB, 39ème journées du GUMP-SEMPA : "Convergences TEM/SEM", Vol.Lyon - 22 et 23 Mars 2007. E. COMORET, N. BOZZOLO, L. DEMBINSKI, C. VERDY, C. CODDET, J. FIORANI, M. VILASI, D. CORNU, T. GROSDIDIER, Processing and characterisation of Cu/Cr2Nb composite powders obtained by gas atomization, EuroPM 2007 (International Powder Metallurgy Congress), Toulouse, 15-17 Octobre 2007. S. GAUTIER, J. MARTIN, T. MOUDAKIR, G. ORSAL, S. OUL SAAD HAMADI, M. BOUCHAOUR, N. MALOUFI, J. SALVESTRINI, A. OUGAZZADEN, MOVPE growth of GaN thin films on LiNbO3 substrat, EW-MOVPE 2007, Bratislava, 2007. S. GAUTIER, A. OUGAZZADEN, T. AGGERSTAM, A. SOLTANI, J. MARTIN, M. BOUCHAOUR, T. BAGHDADLI, S. OUL SAAD HAMADI, S. LOURDUDOSS, N. MALOUFI, Study of structural and electrical properties of BGa(Al)N alloys grown by MOVPE, EW-MOVPE 2007, Bratislava. H. GRIRA, B. BOLLE, A. HAZOTTE, C. SCHUMAN, A. NICLAS, Analyse quantitative de phases de couches cémentées par DRX, 7ème colloque rayons X et matière RX 2007 Dijon. T. GROSDIDIER, G. JI, F. BERNARD, S. LAUNOIS, Processing of Heteronanostructures by Spark Plasma Sintering, EuroPM 2007 (International Powder Metallurgy Congress), Toulouse, 15-17 Octobre 2007. J. MARTIN, L. LE GRATIET, S. GAUTIER, W. GOH, A. MARTINEZ, N. MALOUFI, A. RAMDANE, A. OUGAZZADEN, Nanodots GaN arrays using MOVPE nano Selective Area Growth, EW-MOVPE 2007, Bratislava. B. PETIT, N. GEY, M. HUMBERT, B. BOLLE, M. CHERKAOUI, Analysis of the gamma to epsilon to alpha variant selection induced by plastic deformation in 304 stainless steel, Commission SF2M Texture et Anisotropy- Aix La Chapelle - Allemagne, Mars 2007. J. RAULOT, H. FARAOUN, T. GROSDIDIER, H. AOURAG, Energetic of impurities in FeAl intermetallic, 3rd International Workshop on DFT Applied to Metals and Alloys, 2007. E. UTA, M. HUMBERT, N. GEY, P. BOCHER, C. BESCOND, A. MOREAU, Identification of texture heterogeneities in titanium alloy IMI834, Commission SF2M Texture et Anisotropy - Aix La Chapelle - Allemagne, Mars 2007. J. MARTIN, L. LE GRATIET, S. GAUTIER, C. SARTEL, A. MARTINEZ, N. MALOUFI, A. RAMDANE, A. OUGAZZADEN, New Approach of Nano Selective Area Growth (NSAG) for a precise control of GaN nanodots grown by MOVPE, EMRS Spring Meeting Strasbourg, France 2007. M. BOUCHAOUR, N. MALOUFI, S. GAUTIER, J. Martin,T. BAGHDADLI, S. OUL SAAD HAMADI, N. E. Chabane Sari, A. OUGAZZADEN, Etude de la morphologie de couches minces à base de GaN épitaxiées par MOVPE sur substrat template AlN, ICRESD'07, 2007 Algérie. R. BERNIER, L'usinage grande et très grande vitesse, 3ème rencontre nationale des mécaniciens du CNRS, Beaune, 13-17 mai 2002. A. Daouadji, Evaluation of the profile of settlement of a high rockfill mbankment, , ALERT Workshop, Aussois, France, 2000.